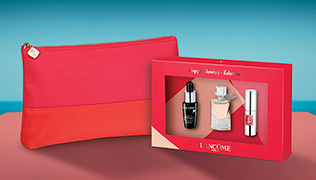 Lancôme gives women the keys to a face makeup so perfectly mastered by French women: a perfect complexion yet enhanced by a touch of “French Glow” for a sheer authenticity. A multiplicity of textures, shades and colours. Supple, smart and easy to wear, adapting to the diversity of women’s moments in a day. An all-time perfect partner for confident women.